Laminated Components Supplier » Komponents Laminated Products, Inc.
Komponents provides assembled products and laminated components to cabinet & office furniture dealers, to store fixture and POP display manufacturers, and to medical products manufacturers. We also serve the senior living industry with resident room furniture. We produce assembled products and parts made from various wood cores and laminates. Melamine clad panels (MCP), high pressure laminate (HPL), Vinyl, and paper foils. 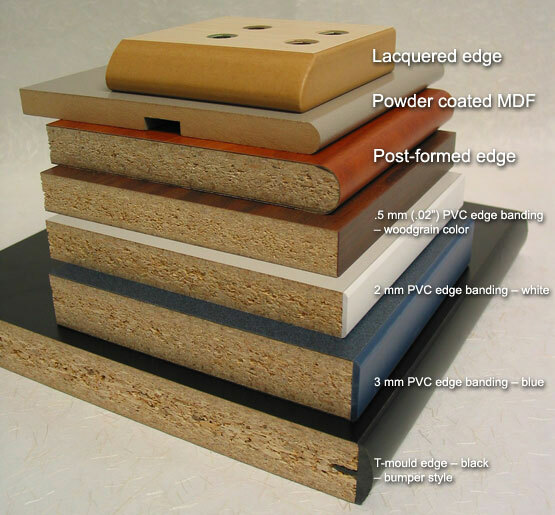 Substraints include particle board, MDF, hardboard, plywoods, and painted panel products. Our engineers can help you design, plan, prototype, and construct what you need.